“It never stops, does it honey” my husband affectionately said as he joined me in folding what felt like the 100th load of laundry over the weekend. But on this particular day, when he spoke those words – “it never stops” – the thought that stopped me dead in my tracks as a million things were swirling around in my head was, “But if it did stop, then so would the life that comes with it.” If I didn’t have all this laundry to do, it would mean I didn’t have these three precious boys to clothe. If I didn’t have crumbs to clean up, it would mean I didn’t have these three precious mouths to feed. If we didn’t have all these important decisions to make, it would mean we didn’t have these three precious souls to parent. Gratitude filled my heart and I remembered: Give thanks for the mundane. Give thanks for the monumental. In all things, give thanks, just as He, Christ Jesus, gave thanks. Thank the Lord of all lords. His love never quits. I remember clearly when the importance of “giving thanks in all things” took on whole new meaning to me - it was almost four months ago when Hurricane Sandy hit our town, and our home, and rocked our world. It stole our security and our certainty, but only – yes only- in the worldly sense. Our security and certainty in what we were doing, where we were going, and how we were living on a daily basis was washed away, as fast as the tide came crashing in and out of our home. But our security and certainty in God’s sovereignty and His faithfulness- no tide can wash that away. It has been tested, it has been stretched, and at times, it has been frail. But only by the grace of God and His refusal to stop holding onto us even when we feel like we can no longer hold onto Him, the trials of the last four months have opened our eyes to how faithful and trustworthy our God truly is. It has opened our eyes to the beauty in giving thanks in all things and trusting in the Father to fulfill His promises. The word of God never- ever- disappoints. My hope is in His promises. God means what he says. What he says goes. His powerful Word is sharp as a surgeon’s scalpel, cutting through everything, whether doubt or defense, laying us open to listen and obey. Nothing and no one is impervious to God’s Word. We can’t get away from it—no matter what. When I feel desperate, I return to the well of His promises. And so it’s been an incredibly intense time of praying, discerning, and decision-making for our family (hence the radio silence) and I've missed this precious time of meeting with you here. It hasn’t been chaotic. It’s actually been pretty miraculous. Just full mornings, afternoons, and evenings. Full of decisions, full of wonder, full of listening and praying and watching and waiting for God to do His thing. Then I woke on Saturday morning to read my daily devotional. I flipped open the book to search for February 9th but instead, the page fell open to March 9th. God had something for me to read on February 9th but it wasn’t the devotional that had been assigned to me that day. It was the one God chose for me that day. Just for me in that moment. This is precisely how our awesome God works. He uses His word to speak directly to our hearts ~ as if the passage were written just for us, in that very moment of time. 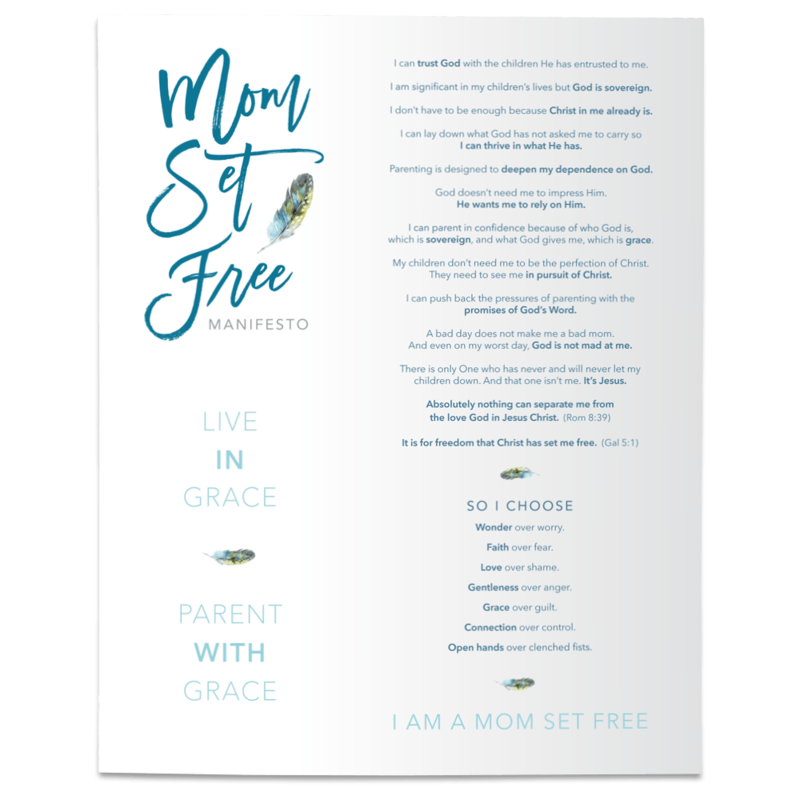 The name of the daily devotional was called “A Prayer for Decision Making Peace.” It comes from Scotty Smith’s “Everyday Prayers” – a beautiful, encouraging, freeing devotional that reminds me afresh, everyday, of the good news of the gospel and God’s radical grace. Below is just a part of the devotional but you can find the whole thing by clicking here. Dear Jesus, as this day begins, many of us are facing big decisions. We need the wisdom, guidance and peace you alone can give. It’s a joy to come before your throne of grace confident of your audience, grateful for your advocacy, and resting in your authority. Even as we make plans in our hearts, you are actively ordering our steps (Proverbs 16:9). O, the freedom and peace this brings. You are the Lord who “opens doors no one can shut” (Revelation 3:8). And the converse is just as true; you also shut doors no one can open. Our future isn’t tied to making the right decisions but with trusting the right Lord. Because of your great love for us in the gospel, we’re learning to trust you with all the stuff in our hearts—with our longings, fears, hurts and dreams. To acknowledge you in all of our ways isn’t to make you Lord, but to recognize and to rest in your Lordship. May your mercy keep us gentle and your might trump our impatience. As Prince of Peace, give us your peace as we wait upon you. Jesus, write stories of redemption in these coming days that will reveal your glory, showcase your grace and leave us reveling in your goodness and timing. So very Amen, we pray, in your trustworthy and beautiful name. Although the whole devotional filled my heart, it was this precise wisdom that I’ve carried with me: Our future isn’t tied to making the right decisions but with trusting the right Lord. Friend, know that you are loved beyond your wildest dreams by a God who gave His very life for yours. You are cherished by a Savior who will never stop pursuing you with His never-ceasing, abundant, unfailing, and extravagant love. You are adored by a sovereign Lord who IS in even the smallest details of your life and desiring to restore and renew you with His grace. ***If you'd like to receive an email notification when I post new blogs, please click here to subscribe.